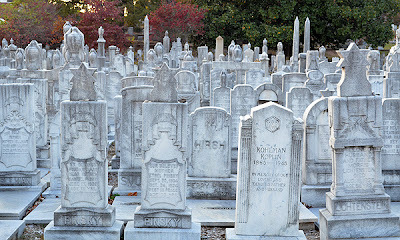 When you drop names like Margaret Mitchell, Bobby Jones, and Maynard Jackson in the same conversation, most Atlantans will immediately know you must be talking about Historic Oakland Cemetery, one of the most remarkable Victorian Rural Garden Cemeteries in the country. What started as an answer to an outgrown municipal graveyard in downtown Atlanta, has grown from an original six acres to its current 48 acres. 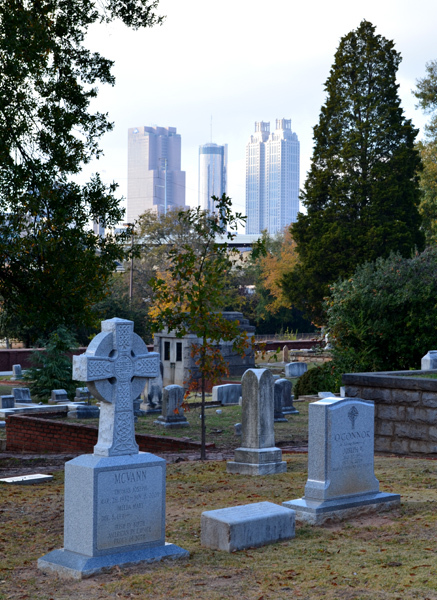 Historic Oakland Cemetery is Atlanta's oldest landmark in continuous use and is on the National Register of Historic Places. 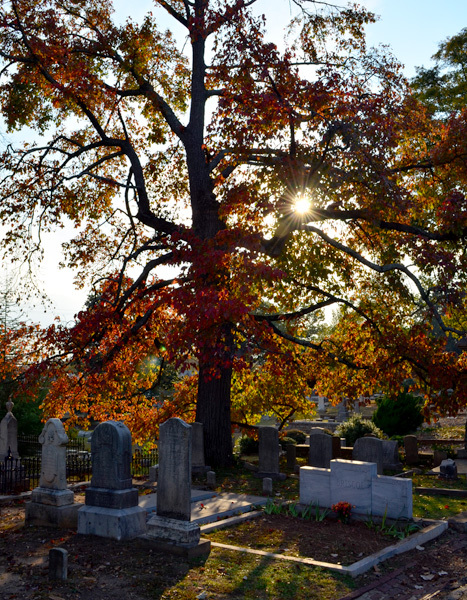 Today, the Cemetery, established in 1850, is home to approximately 70,000 dead, including 7,000 Civil War soldiers...and Oakland still holds approximately 15 burials per year. However, the Cemetery is touted as "much more for the living than the dead." 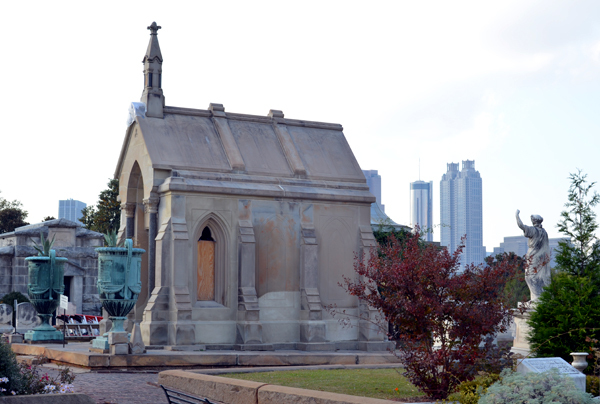 While it—the Oakland Historic Foundation—absolutely respects the dead, its mission is "to cultivate resources to assist the City of Atlanta in the preservation, restoration and beautification of Historic Oakland Cemetery and to promote it as a local cultural resource and as an historic site of national importance." Embracing that spirit, I've long wanted to visit Historic Oakland Cemetery, but (embarrassingly) just recently made it there. I'm so glad I did! I had the great fortune of a friend knowing one of the tour guides, Kimberly, who gave our group of eight a captivating, detailed, and engaging walking tour of the Cemetery. The Cemetery is open to the public 365 days a year, but I highly recommend a Guided Walking Tour, at least to initially get oriented to the Cemetery for subsequent visits. Usually, when a tour concludes, I have a mental list of about a bazillion questions I want answers to...not the case with Kimberly's tour. Our brains were saturated with names, dates, facts, factoids, and a new passion for what a Cemetery of this kind has to offer. She was brilliant! 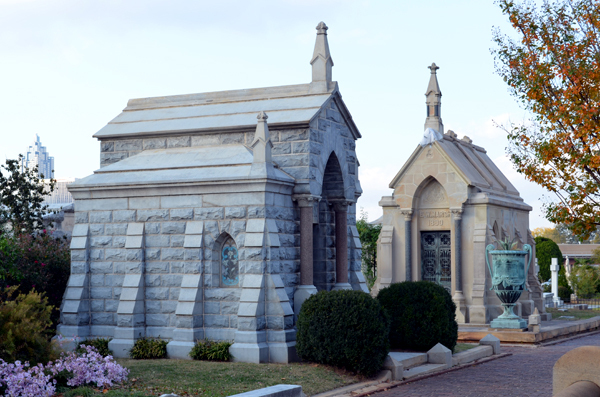 If I remember correctly, the Neal Monument is one of the most photographed grave sites in the Cemetery. And a LOT of symbolism was explained, including the open book, closed book, laurel wreath, palm branch, and Celtic cross (that one being "eternal life, faith and redemption"). 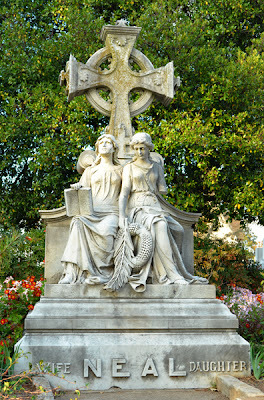 There truly is a lot of symbolism throughout the Cemetery...a LOT! 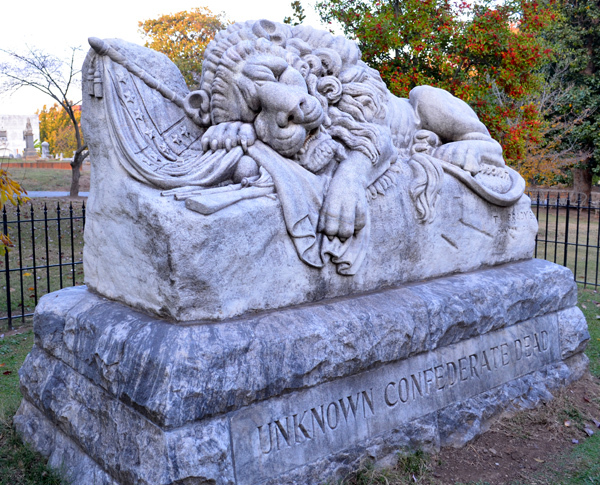 A very popular Atlanta icon is "The Lion of Atlanta", a memorial erected by the Atlanta Ladies Memorial Association to honor approximately 3,000 unknown Confederate dead. Many of the Confederate graves are unmarked because the materials used to mark them have since degraded. Of note, this monument is so popular and written about, when I blogged about the lions perched in front of the Marriott Marquis, it had taken months of research before I learned that they bear practically the same name, but in French—Les Lions d'Atlanta! And for quite a different reason. Atlanta-born, World Golf Hall of Famer, Bobby Jones was laid to rest at Historic Oakland Cemetery in 1975. 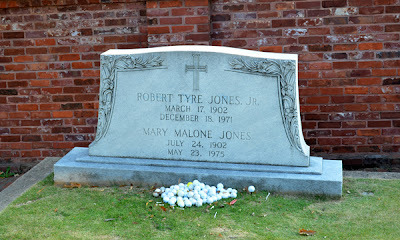 His plot is a golfing green and if you look closely enough, you can see a hole that visitors use for putting to honor Jones. Fans also very often leave golf balls and other golf memorabilia at the site. For many reasons, too numerous to explain here, the Jewish section of the Cemetery is separate from the vast majority of the rest of the Cemetery. And it's stunning. There is also an earlier Jewish section, apart from the one pictured here, that more closely resembles non-Jewish grave sites. Learn more on the tour! I'd have to write a book to tell the tales of all there is to see in Historic Oakland Cemetery. 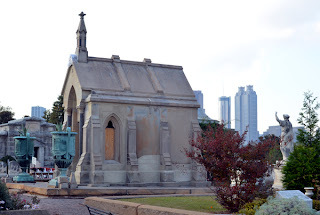 Again, I highly recommend a Guided Walking Tour...you'll be amazed at how much you learn about Atlanta—and yes, that goes for you local tourists, too! 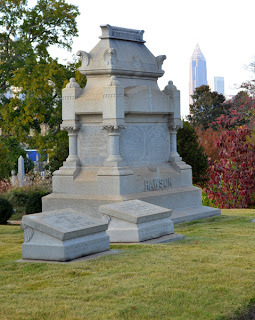 Head over to the wanderlust ATLANTA Facebook Page for more photos of my visit to Historic Oakland Cemetery.